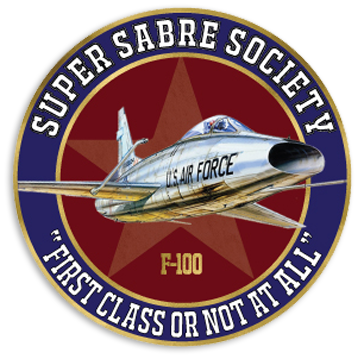 The F-100 was my first fighter and I loved it; it thrilled me; it charmed me; it took good care of me. 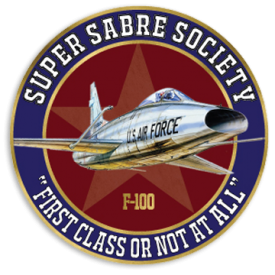 I missed some of the “extras” that many of my peers experienced – blown tires, hydraulic failures, barriers engagements, ejections, etc., but the F-100 gave me an excellent start for my chosen trade. 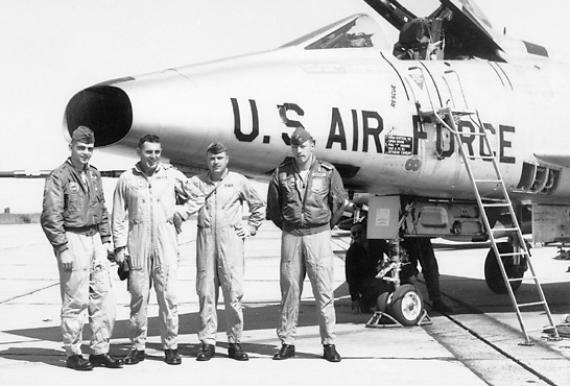 To begin at the beginning…it was September 1959 that I met the Hun at Luke with Bob Fair, Commander, 4515 CCTS, Gil “Old Sport” Leimbach, Flight Commander, Jim Bosick and Bob Butler, my instructor along with Morgan Lilly, “Roscoe” Furness and Randy Krumback; then on to Nellis where I met “Hoot” Gibson, Commander, 4523 CCTS, Vern Covault, Ops, Larry Goldberg and Aubry Edinburg among others, many of whom I would meet again and again, as we flew F-100s – and other worthy steeds – in war and peace. My first operational assignment was the 79th Tac Fighter Squadron, RAF Woodbridge, Suffolk, England, Ed Rackham, Commander, “Doc” Savage, Ops Officer. Capt Dave Eknes and his wife, Carol, were “sponsors” of the Dugans when we arrived in Sep 1960. 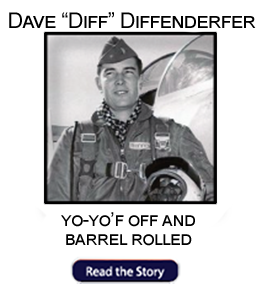 Dave was the “A” Flight Commander, and, he oversaw my theater indoctrination, bomb commander school, instrument re-qual, F-100 re-qual, local area check-out, weapons re-qual at Wheelus, and upgrade to combat ready status. 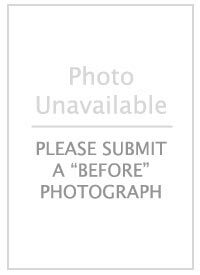 I quickly found out the standards of CCTS were not sufficient and the myriad things I needed to know. In retrospect, I learned what instructor pilots and flight commanders worried about and what they should worry about. On several occasions, I was “on the schedule” and some obscure event or weather circumstance happened in the area where I was scheduled to fly and shortly before take-off time I was cancelled. After the third time, I asked, “What happened?” The answer was, “You’re not ready for that.” I flew with Dave several times; he briefed; he chased; I briefed; he critiqued, and he wasn’t bashful; he was a competent, confident leader in the air and on the ground. 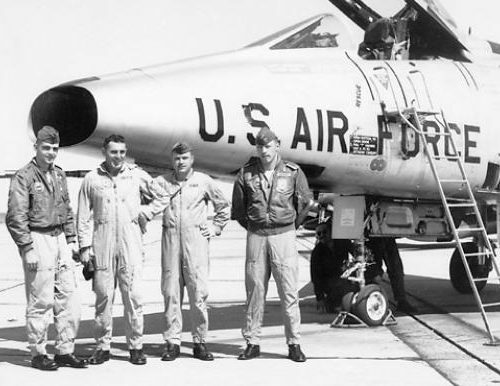 I flew with others – BV Johnson, Frank McMillan, Fred Bailey, but Eknes was in charge. Then one winter day the weather in France was too bad for low level navigation, or bombing at Suippes Range; the weather in the Mid-lands of England was worse: “Dugan, go single ship to Brize Norton or Fairford and shoot GCA’s.” I had done enough instrument and weather flying by that time that I was deemed “OK” to build some real weather time and experience; it was zero-zero at Fairford; I saw the ground at Woodbridge on takeoff and an hour and a half later, on landing; it was a “real” European weather day. Eknes attention to all the elements and risks of a proposed flight – and of the junior pilots who would attempt them – was detailed, thorough and intense day after day. I picked up some valuable knowledge: Flight Commanders, I learned, were the lynch-pins of successful fighter squadrons. ”You’re not ready for that.” I, of course, was offended. I had some 200+ hours in the Hun; I had seen six months of European weather. 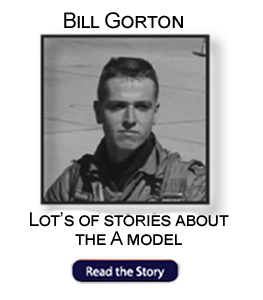 I was full of myself, but assuredly “not ready for that.” The major factor that kept this young lieutenant alive, while flying fighters in European conditions, was intense supervision by a flight commander exercising good judgment day in and day out. I spent 1960-1964 in the Hun at Woodbridge. Over the succeeding years I saved myself from certain calamity on several occasions by remembering lessons I learned from Dave Eknes. A few years later I had occasion to talk to USAFE wing commanders about leadership, about their career development, about flying safety and about avoiding needless aircraft accidents. It was likely, I opined, that they could not personally capture the imagination of every young lieutenant in each of their wings, but they could, I asserted, capture the attention of squadron Flight Commanders and help them to watch, listen, teach, set examples, make judgments, display and enforce high standards of flight discipline. I like to amuse myself that Dave Eknes was still coaching and that his continuing leadership was still effective: USAFE went the next two years without a major aircraft accident. 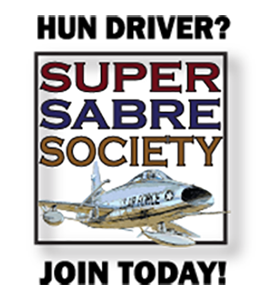 AFTERTHOUGHTS: Shortly after arrival I was designated the 79th Squadron Information (Public Affairs) Officer, a highly coveted additional duty in 1960. The Squadron Commander asked one day what I was doing to get his name in the paper. I, of course, had no good response and, indeed, no clue, but a few days later there was a piece in “Stars and Stripes” reporting a directive from the French Minister of Defense: all French Forces were to continue to seek “close professional relationships” with other NATO forces. The 79th had an on-going relationship with RAF Squadron No 74; it too used a tiger as its squadron emblem. 1LT Dugan wrote the French Minister of Defense, seeking contact with a French Air Force fighter squadron using a tiger in its unit insignia to pursue “close professional relationships.” He got an answer: L’escadron de chasse 1/12, based in the northeast of France at Cambrai. A successful one-day, mostly social, event was organized at RAF Woodbridge in 1961 among the three squadrons. That led LT Dugan to write virtually all the NATO Ministers of Defense with the same request. And, this resulted in the first NATO Tiger Meet. It was conducted at RAF Woodbridge in August 1962 and included tiger squadrons from US, UK, France, Belgium, Canada, Germany. The NATO Tigers continue to conduct Tiger Meets at various host bases and pursue “close professional relationships” to this day. Tiger Meets have provided improved interoperability, enhanced cross-servicing, common standards, operational understanding, stronger ties among air and ground crews and, of course, good fun and good stories – now (2018) 56 years of good stories. 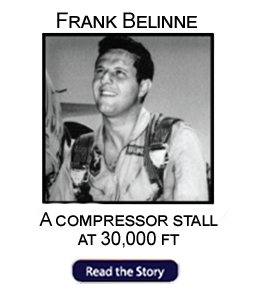 I retired in 1990 with about 1200 hours in the F-100 and 4500 total flying hours. After retiring from the military General Michael Dugan served as the president of the National Multiple Sclerosis Society and is now President-Emeritus of that organization. 1967 Pleiku Air Base, Republic of Vietnam, and Nakhon Phanom Royal Thai Air Force Base, Thailand. 1973-1977 Headquarters U.S. Air Force, Washington, D.C.
1987–1988 AF Deputy Chief of Staff, Programs and Resources, US Defense Dept. 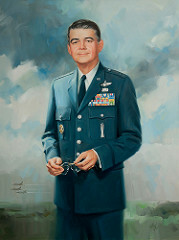 1988-1989 AF Deputy Chief of Staff, Plans and Operations, US Defense Dept. 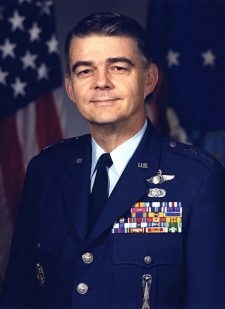 1989-1990 Commander, US Air Forces in Europe, US Defense Dept.